The roster of security measures enacted by the Bush administration in the panic that followed September 11th is by now well known. Common to all of those initiatives from The Homeland Security Presidential Directive 2 to the USA Patriot Actis concern about the link between migration and security. This new appreciation of how people on the move pose a threat—whether real or imagined—will be a recurring theme of domestic policy and international relations for years to come. But the “securitization of migration” must first confront a perplexing tangle of long borders, large-scale labor migration, and throngs of tourist and student visitors. Policy makers are only beginning to catch up with this complicated reality. 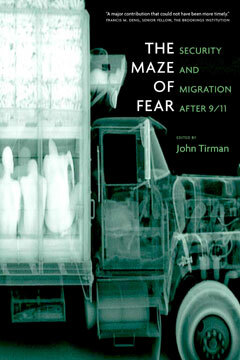 Raising vital questions about government policy, The Maze of Fear explores the many dimensions of the migration–security link, including discussions of civil liberties, transnational organizations, refugee populations, and politically active diasporas.